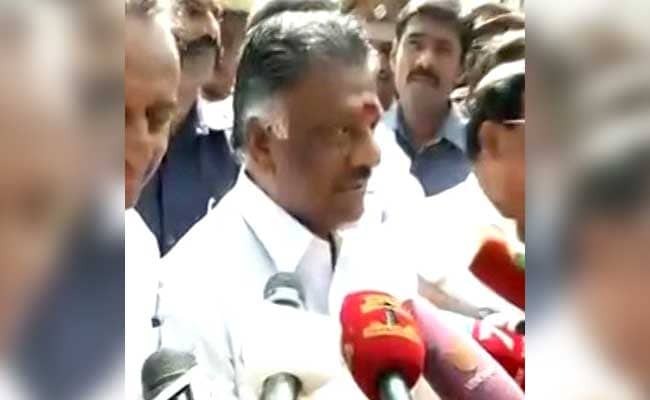 O Panneerselvam camp also sought a direction to the Speaker to conduct a floor test in the assembly. New Delhi: The O Panneerselvam camp has moved the Supreme Court challenging the decision of the Tamil Nadu Assembly Speaker rejecting their demand for a secret ballot during the February 18 trust vote won by Chief Minister E K Palaniswami. AIADMK MLA K Pandiarajan, who is considered close to former chief minister Panneerselvam, has filed a petition in the apex court in which he has sought a direction for quashing Speaker P Dhanapal's decision rejecting the demand for a secret ballot to determine the outcome of the floor test. Besides, the petitioner has also sought setting aside of all consequential actions including the February 18 resolution of the Assembly "expressing confidence in favour of council of ministers headed by Edappadi K Palaniswami, as the same are illegal, capricious, discriminatory and violative of the principle of 'secrecy' which is the essence of democracy, free and fair elections..."
He has also sought a direction to the Speaker to conduct a floor test afresh only through a secret ballot in the presence of "independent and impartial" observers nominated by the Supreme Court. On February 18, jailed AIADMK general secretary V K Sasikala loyalist E K Palaniswami had won an easy trust vote 122-11, helped by the eviction of main opposition DMK and walkout by its allies, amid stormy scenes during which mikes were uprooted, chairs toppled and sheets of papers torn and hurled around.